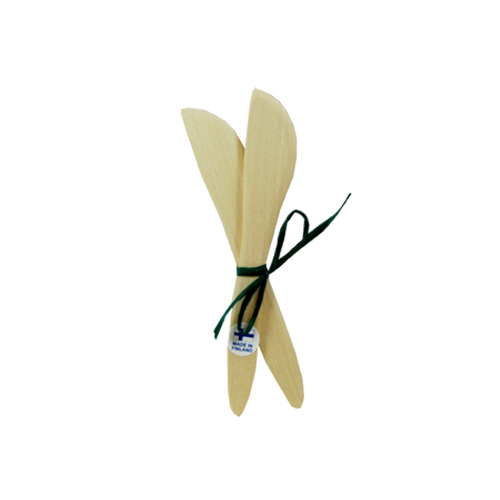 More about Birch Butter Knives (Set of 2) Wooden knives like these are ideal for spreading toppings on toast, bread, bagels and more. Made from Finnish birch. 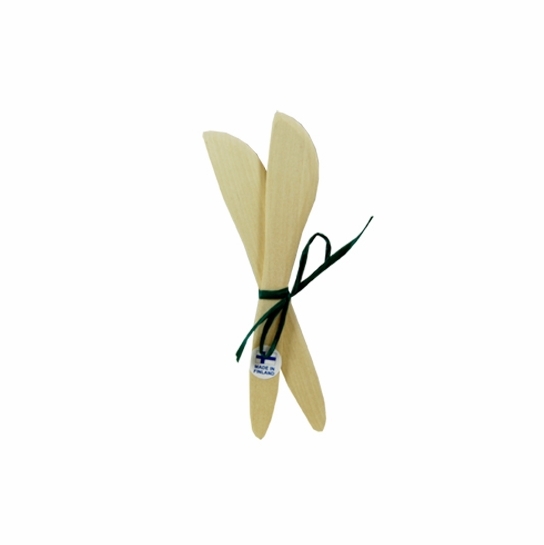 I love these little â€œknivesâ€ for spreading butter , mayo, whatever needs spreading! Thrilled to find them at FinnStyle and they arrived very quickly! 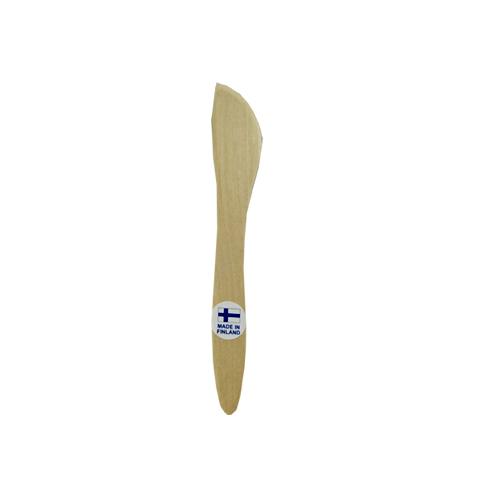 Love the wooden butter knives! FinnStyle has such wonderful things from Finland. This is a great go-to-source for anything you want from Finland. Thanks for making them available for us here in the U.S.!! I love these little spreaders that I also use to cut up soft bar cookies when they are still warm. Quick service from FinnStyle. ProsFunctional and beautiful, useful for spreading and for cutting soft out-of-the-oven cookie bars. How would these be cleaned? Can they tolerate boiling water, soap? Hand wash. Do not use boiling water. Use regular, mild dish detergent to wash and then dry immediately to prevent warping.